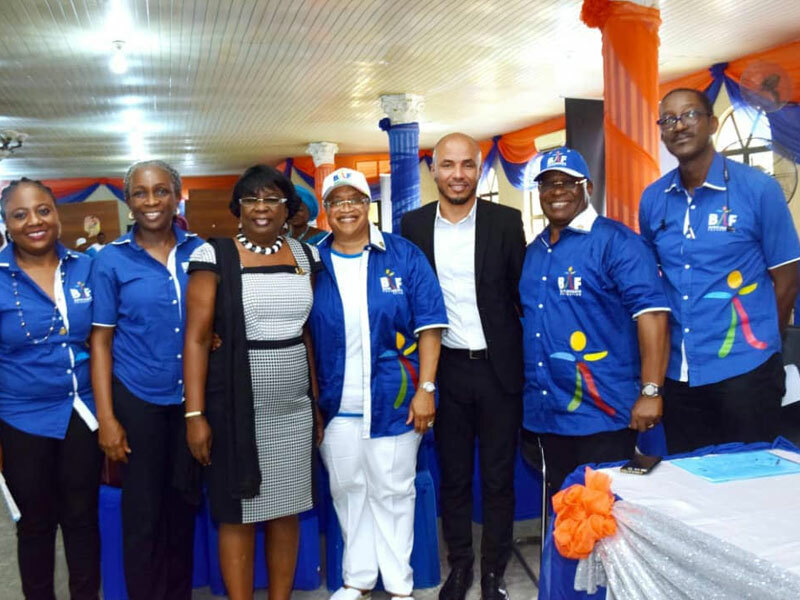 L:R: Board Secretary, Bunmi Adedayo Foundation, Mrs Odunoluwa Longe; Member, Board of Directors,BAF, Dr Fowoke Akinleye; Host Education Secretary, Surulere LGEA, Mrs Yetunde Fatoke ; Chairman ,Board of Trustees,BAF , Mrs Olayinka Adedayo; Projects Director,Aliko Dangote Foundation,Mr Zakari Momodu; Patron,BAF, Mr Adekunle Adedayo and Chairman, Board Of Directors,BAF, Mr Babatunde Akinleye during the graduation ceremony of teachers trained and sponsored by the Foundation in Lagos recently. No fewer than 185 teachers has been graduated by the Bunmi Adedayo Foundation, BAF, in its capacity building programme meant to improve the quality of education delivery,both in teaching and learning. This is in part fulfillment of the objectives of the organization to enhance quality education in public primary schools in Lagos State and Nigeria at large. BAF was established in in honour of the late Bunmi Adedayo,a former Executive Director at Tastee Fried Chicken , to sustain his legacy on building and improving children’s lives, hence , BAF concentration on primary school children. Chairman ,Board of Director of the Foundation, Mr Babatunde Akinleye stated that the foundation was on a mission to reverse the negative ratings and poor conditions of primary education in the country. 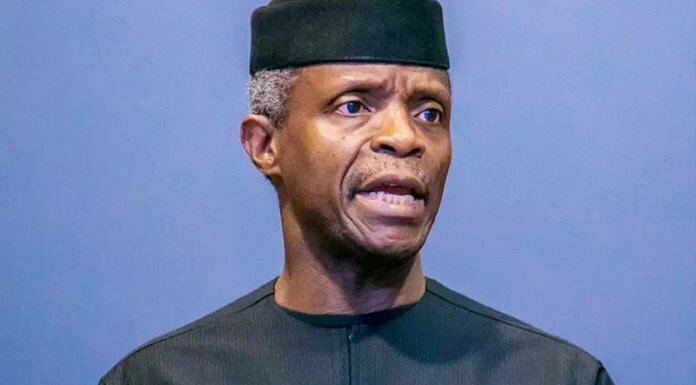 World bank in its recent report states that 80% of Nigerian Children cannot read and write after primary school while over 40% of teachers in the classroom are not qualified. , infrastructural development and educational facilities and equipment, amongst others. “Today we are graduating not less than 185 primary school teachers who have been through our rigorous training in the last one year, over 300 teachers participated in the training, but we have carefully selected 185 of them who met our graduation requirements. He noted that the foundation targets primary school education in order to strengthen children’s foundation,hence,its intervention in teachers who are entrusted with the care of the children. In his address, Executive Chairman of Lagos State Universal Basic Education Board, SUBEB,Mr Babatunde Akinleye,commended the foundation for honouring the teachers in a colourful graduation ceremony,which he said would further motivate the teachers to deliver better. He noted that the Foundation is a worthy partner who has genuinely proven its commitment to support government in lifting the education sector. He congratulated the graduate teachers and urge them to make good use of the opportunity by being exemplary in their pursuit. Akinleye also added that BAF has so far adopted five schools since its was established and it aimed to support over 1050 teachers in the next two years. He called for support and partnership from individuals and corporate bodies to actualise programmes of the foundation.